I believe everyone wouldn’t like to be annoyed by the wires of chargers tangled together. but if you have more than one gadget chargers, perhaps this will often happen to you. Thank heaven that there are many gadgets for resolving the problem such as the IDAPT Charging Station. The charging station totally includes three charging slots, it means you can charge three gadgets at the same time. 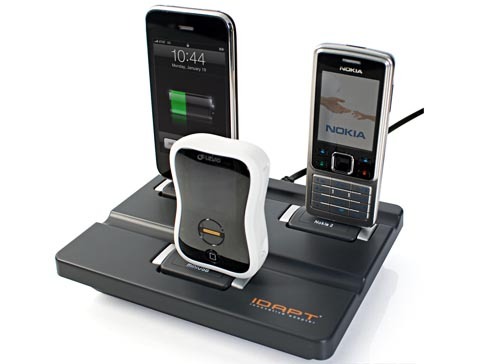 IDAPT charging station comes with 6 interchangeable cordless charging tips that can support iPod/iPhone, many popular cell phones, some gadgets with miniUSB or microUSB port. 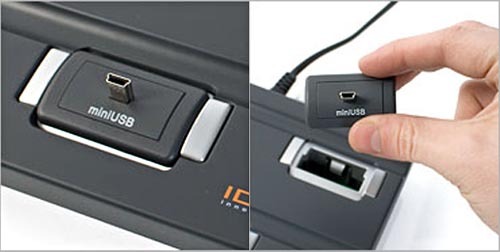 Just unplug one and plug another tip into the slot, you can easily change charger so as to adjust to the compliant gadget. The IDAPT charging station is priced at about $52.3 USD. If you need a powerful all-in-one charging station, you can get it from Firebox.